Over the years, photographs have enjoyed a variety of forms of protection, but traditionally the protection of photographs has been placed within the law of copyright. 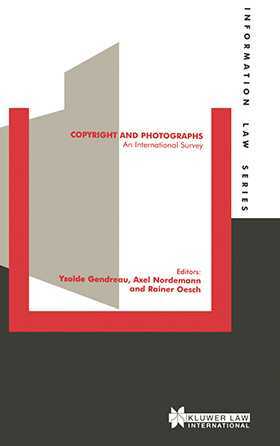 While photography as a technique has been around for 150 years, protection issues in photography, as in copyright in general, have been complicated in recent years by the advent of new technology, enabling the digital storage, alteration, and reproduction of images and facilitating their global dissemination via the Internet. the relationship of copyright with privacy and publicity rights.